Many of the internally displaced persons (IDPs) are planning to stay in the Kharkiv region forever. The difference in political views and not always the correct format of the giving information aggravate further the situation by increasing the gap between people. Notably for the purpose to reduce social tension in November 2015 started the project “Sila edinstva/The Power of Unity” aimed on overcoming the gap between the IDPs and Kharkivens. 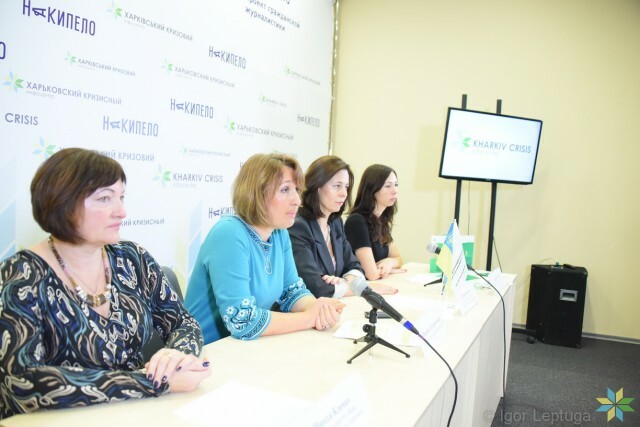 The initiative of the project belongs to the public organization “Foundation “Professional development of Kharkiv” and is implemented with the support of the UN Development Program in Ukraine and the Government of Japan. “Kharkiv has to become a native home for these people. A significant number of people are trying to rebuild their lives in Kharkiv. Therefore it is important to initiate a friendly understanding with local citizens,” said Marina Ladyzhenskaya, business coach and staff manager of the Foundation. The start of the project is scheduled on November 27-29 in the family integrated camp at the recreation center “Carnaval”. 120 people, 40 Kharkiv families and IDPs families with children of school age have the opportunity not only to relax but also to take part in interesting events, trainings, workshops etc. The participants of the project will rally around the eternal values ​​such as family and child-rearing. Then will be offered a series of cultural and educational activities, psychological and practical trainings, participation in volunteer and charity events, tours. The project will last for 4 months. “Particular area of focus is vocational guidance work with young people and career orientation of young people because the conscious choice of profession depends not only on well-being in the future, but also the physical and mental health,” said Marina Ladyzhenskaya. Feel free to check our recent post on topic: The human rights activists have helped IDPs with AIDS.